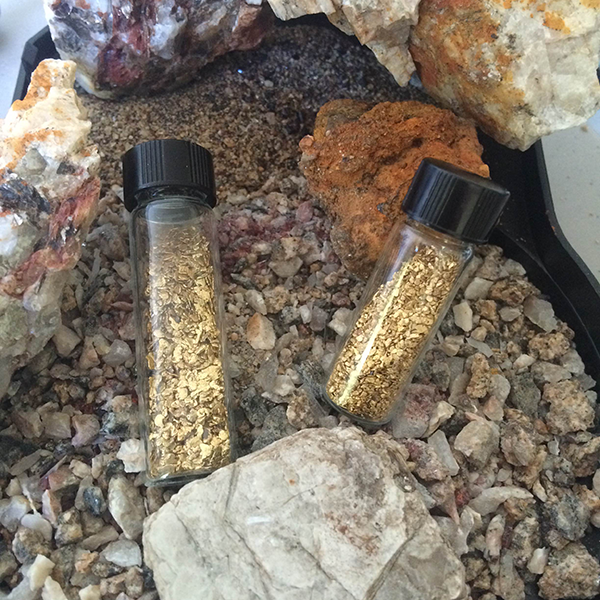 Pinch of real Gold, Silver, Red Garnets and some other treasures you will have to find for yourself. I have tried all of Lesser Families Treasure Sacks and will never go anywhere else. Its not just because the product is a blast, but they are a true mining family that supports the mining community.. These little guys are the best, everyone needs some of these. I don’t know how you all do it!!! This little bag is so much better than any other paydirt on the market!!!! I have been buying from Lesser Family Gold for many years, and have always gotten more than promised. Love these hard working guys.